Get in touch with nature at Oro and Archipelago National Park. Venture out of the city with trips to Rosala (Rosala Viking Centre & Bengtskar Lighthouse). To see photos, where to stay, other places to visit, and tourist information, you can read our Kimito Island online trip itinerary builder . Amsterdam, The Netherlands to Kimito Island is an approximately 10-hour flight. Traveling from Amsterdam to Kimito Island, you'll lose 1 hour due to the time zone difference. Traveling from Amsterdam in August, plan for a bit cooler nights in Kimito Island, with lows around 12°C. On the 15th (Thu), wrap the sightseeing up by early afternoon so you can travel to Pernio. Perniö is a former municipality of Finland. Step out of the city life by going to Teijo national park and Ruukin kehräämö ja puoti Oy. To see photos, traveler tips, more things to do, and more tourist information, refer to the Pernio itinerary planning site . Traveling by car from Kimito Island to Pernio takes an hour. August in Pernio sees daily highs of 24°C and lows of 12°C at night. You will leave for Poytya on the 19th (Mon). Pöytyä is a municipality of Finland located in the Southwest Finland region.The municipality has a population of and covers an area of of which is water. Change things up with these side-trips from Poytya: Loimaa (The Finnish Museum of Agriculture & Alpo Jaakola Statuary Park). There's more to do: explore the striking landscape of Kurjenrahka National Park. For traveler tips, other places to visit, more things to do, and more tourist information, use the Poytya road trip app . Traveling by car from Pernio to Poytya takes 1.5 hours. In August, daytime highs in Poytya are 23°C, while nighttime lows are 12°C. On the 23rd (Fri), you're off toUusikaupunki. Deepen your sense of the past at sights like Isokari Lighthouse and Uusikaupunki Old Church. Step out of Uusikaupunki to go to Kustavi and see Katanpaa, which is approximately 44 minutes away. For other places to visit, more things to do, traveler tips, and tourist information, use the Uusikaupunki online trip builder . You can drive from Poytya to Uusikaupunki in 1.5 hours. In August, daily temperatures in Uusikaupunki can reach 23°C, while at night they dip to 12°C. On the 28th (Wed), you'll travel to Korpo. Nagu Church and Korpo Church will appeal to history buffs. Step out of Korpo with an excursion to Maritime Exhibition Sjofartshuset in Nagu--about 36 minutes away. For maps, more things to do, and more tourist information, you can read our Korpo trip planner. Getting from Uusikaupunki to Korpo by car takes about 3.5 hours. In August, plan for daily highs up to 23°C, and evening lows to 12°C. On the 2nd (Mon), you're off toNaantali. Naantali is a town in south-western Finland, known as one of the most important tourist centres of the country. 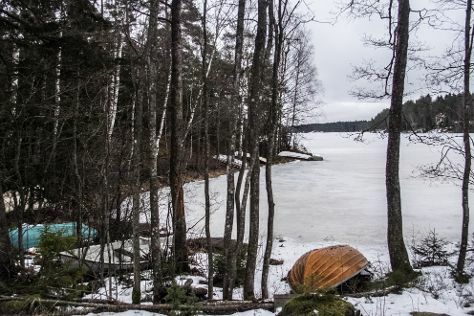 Relax by the water at Vepsa Island and Ispoinen Beach and Sauna. Deepen your sense of the past at sights like Turku Castle and Aboa Vetus & Ars Nova. Step out of Naantali with an excursion to Pargas Lime Stone Quarry in Parainen--about 46 minutes away. 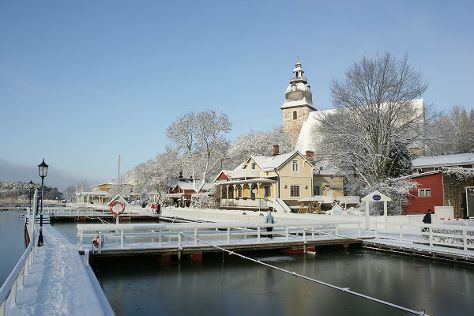 And it doesn't end there: don't miss a visit to Naantali Old Town, tour the water at your own pace with Lana, brush up on your military savvy at Forum Marinum Maritime Centre, and take in the spiritual surroundings of Turku Cathedral. To find maps, ratings, and more tourist information, go to the Naantali journey planner. Traveling by car from Korpo to Naantali takes 2.5 hours. In September, daytime highs in Naantali are 18°C, while nighttime lows are 7°C. Cap off your sightseeing on the 7th (Sat) early enough to travel back home.